The Church’s liturgical year keeps fresh the memory of Jesus Christ, and this applies in a particular way to the last days of Christ’s earthly life, and most of all to his glorious resurrection ‘on the third day’, Easter Day. With good reason we call the sequence of these sacred and dramatic days Holy Week. At the heart of Holy Week come the three days we know as the Triduum, and it is the wish of the Church that her sons and daughters share fully in these richest of liturgical moments. The Triduum officially begins on Thursday evening with the Mass of the Lord’s Supper and the institution of the Holy Eucharist. 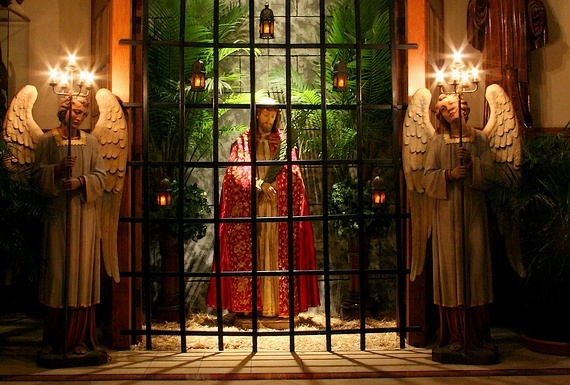 When we think of all the Masses which have been offered and celebrated over two thousand years, the countless numbers of believers who have received Holy Communion in that time, and the centuries-long widespread practice of Eucharistic devotion and adoration, it was on this night in the Upper Room or Cenacle in Jerusalem where it all began. 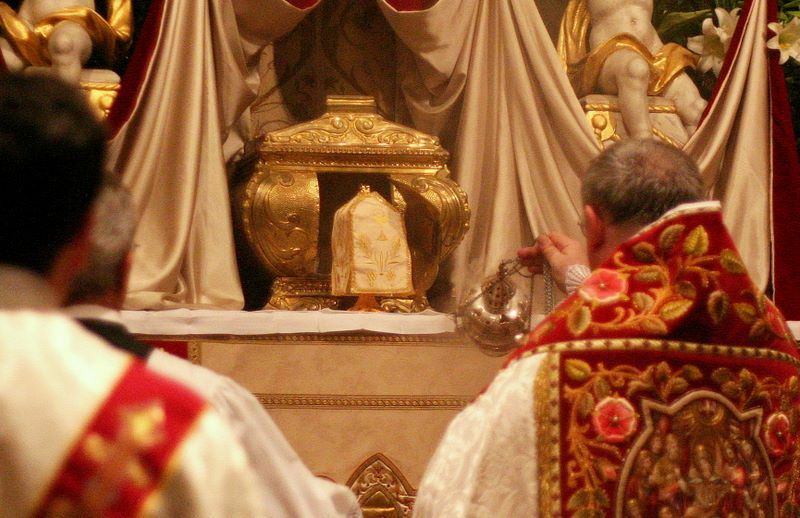 To be present on Holy Thursday at the Mass of the Lord’s Supper is to be transported in spirit to that evening in the Cenacle where the Lord, anticipating his passion on the following day, gave his undoubtedly startled disciples the sacred food of his body and blood. We too take our place at that Last Supper table with him. At the conclusion of this Mass the Blessed Sacrament is carried solemnly in procession to the altar of repose; there we can ‘watch’ for a time with the Lord and join him in prayer as he himself prayed in agony in Gethsemane. On Good Friday we gather at 3.00pm for the solemn liturgy of the Lord’s Passion, the heart of which is the Evangelist John’s account of the Passion, followed by the Veneration of the Cross. 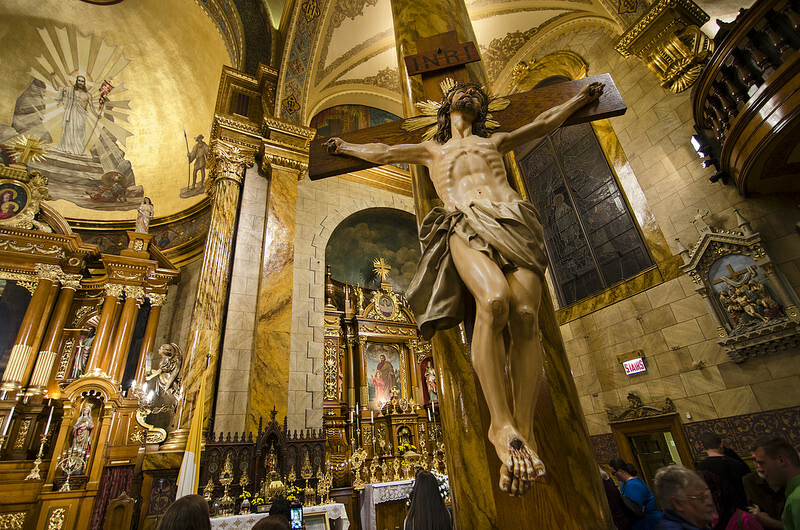 Along with the reception of Holy Communion, this veneration of the Lord’s cross for which faithful people queue patiently and quietly, is an act of intense spiritual devotion and reverence for the crucified Lord. 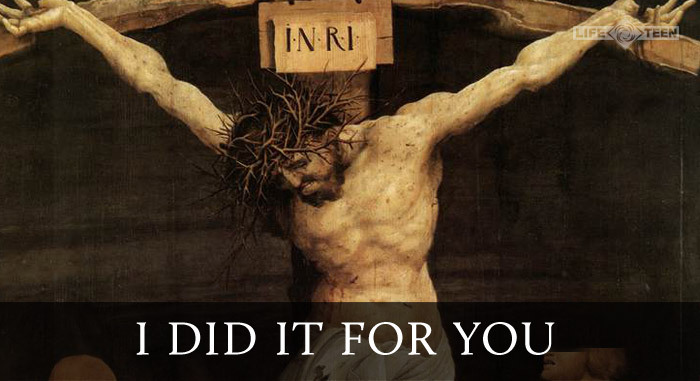 The liturgy of Good Friday ends with a simple prayer and we depart quietly and reflectively, having commemorated the most sacred and momentous of all human events – the death of Jesus Christ. 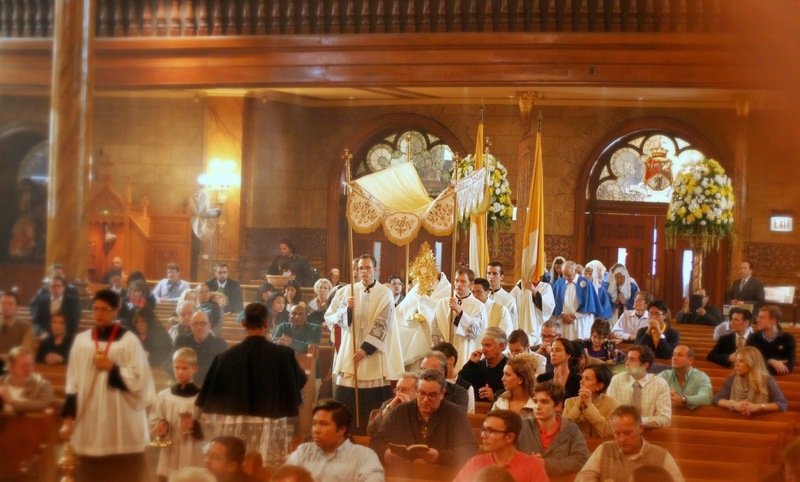 The Church has no liturgy as such on Holy Saturday. 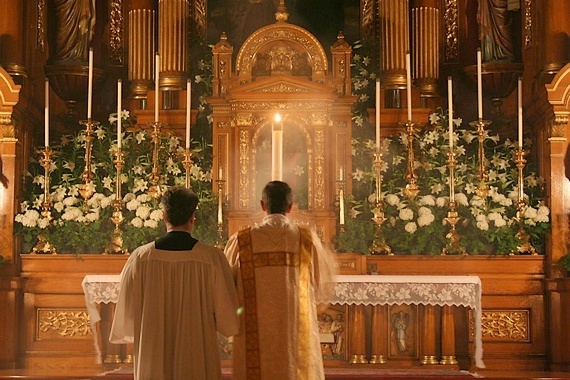 Our church buildings lie empty, devoid of the Blessed Sacrament, and therefore somehow hollow. Holy Saturday evokes the mysterious descent of Christ “into Hell”, as our faith professes. As he lay dead in the tomb, the human Christ showed his solidarity with the rest of humanity who too must pass through the gates of death. The utter desolation and sadness of death are well captured by what may be described as the empty nature of Holy Saturday which we ought not diminish. We should pause for thought on this day. 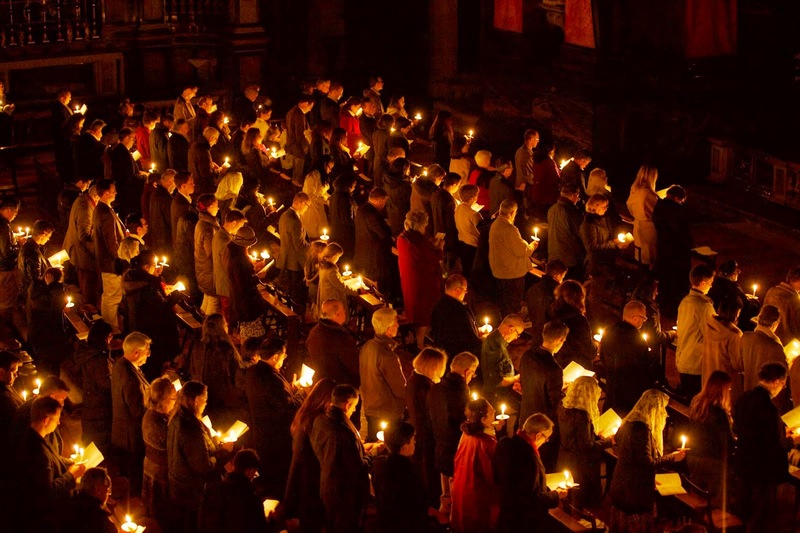 With good reason the Easter Vigil has been described as the ‘Mother of all Vigils”, for it is the solemn celebration in liturgy of Christ’s resurrection from the dead. God the Father has vindicated his Son in the face of opposition, rejection and crucifixion. Life has triumphed over death! 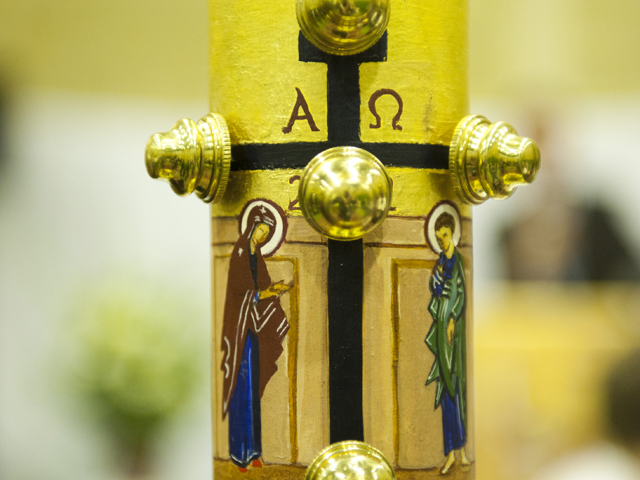 With great fanfare the paschal candle is lit, a powerful symbol of the victory of light over darkness. The Scriptures are proclaimed, detailing the wonderful creative deeds of God and his promises to his people of old, promises now made good in the newly-risen Christ. With lit candles the congregation renew their baptismal promises, indicating that we too, mysteriously in baptism, have died and risen with Christ. The Eucharistic celebration concludes the joy of this Easter liturgy, and we depart with alleluias ringing in our ears! The Sacred Triduum represents the culmination of the Church’s liturgical year, her celebration of all that God has achieved for us in Christ. May this Holy Week find us ready and willing to walk prayerfully with Our Lord through the final days of his life, and to renew our faith and hope in his unquenchable victory over sin, suffering and the power of death.